With more than 10,000 sq ft of showroom space, we carry a vast range of different types of furniture to cover all aspects of your home. This covers the normal furnishings for your bedroom, lounge, dining room, kitchen and your home office (including rugs and carpets and occasional furniture such as coffee tables and the like). However we also offer what we call “Landlord Packs” which allow landlords to furnish their rental properties with good quality furniture at a reasonable price. 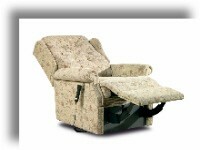 We specialise in furniture for people with mobility problems. 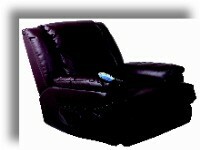 We offer two major brands of lift and rise recliners chairs, from Sherborne and Celebrity Motion. 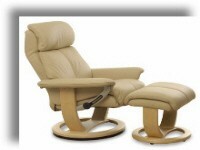 These fantastic chairs are available in leather or material and you can choose between single or dual motor so that you can find the best position for you to relax while reclining, resting or standing you up. The motors are guaranteed for 5 years (Celebrity Motion) or 3 years (Sherborne). We also sell matching 2 and 3 seater settees and fixed chairs either on legs or down to the ground as well as an extensive range of leather-look recliner and swivel chairs with stools, plus rocker recliner massage chairs in leather-look. Our range of electric beds come with or without a massage option and you can choose between memory foam or pocket sprung mattresses or a combination of both. We are open 7 days a week and offer our customers free delivery within a 40 mile radius of our shop (with reasonable charges for longer distances) and free fitting.